When Christopher Columbus made landfall in the Bahamas, it was not so much a “discovery” as it was an accident. 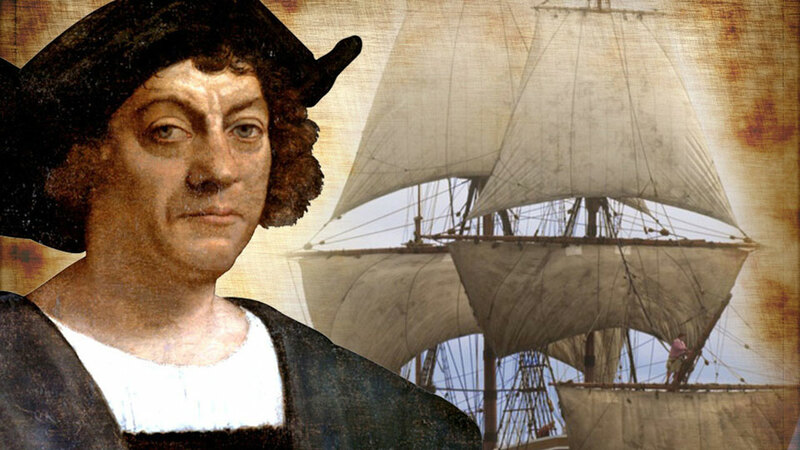 As it has been quipped, Columbus didn’t know where he was going, didn’t know where he was when he arrived, and when he returned home, couldn’t tell anyone where he had been. Native and indigenous voices have long lamented the honor bestowed on Columbus, and with good reason. He was this hemisphere’s first colonizer, European slave trader, and génocidaire. He, and the waves of pillagers who followed, eliminated more than 90% of America’s aboriginal people and cultures. So when hundreds of native tribes – and a few city councils and state governments – refuse to celebrate the man they view more as a villain than a victor, give them their due. How can they applaud a person who brought their ancestors nothing but sickness, massacre, and destruction? As a person of faith, I cannot ignore the role religion – extremely toxic religion – played in this whole enterprise. Within months of Columbus’ feet striking the Caribbean sands, Pope Alexander VI issued the notorious “Doctrine of Discovery.” It was a hideous declaration, giving theological justification to economic greed and immoral colonization. Lest one think such actions only applied to Columbus and his contemporaries, think again. The United States Supreme Court cited the “Doctrine of Discovery” as legal justification for the removal and marginalization of Native American tribes. Chief Justice John Marshall, with an unanimous court, ruled that “the principle of discovery gave European nations an absolute right to the New World,” concluding that aboriginal people had the right of occupancy, but not ownership. Come one, Pastor. Though your report may have ‘some’ historical fact included, in this case the “truth does not set one free”; it further divides us. Aren’t you supposed to be a uniter (sp), not a divider? ‘Truth’ is, and you should know this, you shouldn’t judge cultures of today by the standards of yesterday. ‘Truth’ is, throughout early history of the world, nations lived by the dogma of ‘survival of the fittest’. Which meant that, if you could make your clan, country, region better by making war on the neighboring tribes, clans, peoples, you did it. It was barbaric in a lot of cases. And I certainly do not condone it. But, and here is a very large BUT, it was the standard culture of the day to do these things. But ‘truth’ is, it wasn’t just the white Europeans who lived this life-style. So-called American Indians did the ‘exact’ same thing. I hope you haven’t bought into the liberal mindset that before Columbus, Indians were at peace and harmony with one another and nature. As a retired history major and teacher let me tell you nothing could be more historically incorrect. Not in what became North, Central, or South America. They were all barbaric, hunting and making war against one another, causing huge atrocities against one another. In fact, after one military excursion alone, the Axtecs captured 3000 (yes that’s 3000) prisoners of war and sacrificed ‘all of them’ to their war god. Talk about religion promoting war. Check how many wars the ‘Great Spirit’ caused in the Western Hemisphere. But liberals won’t teach this anymore in our colleges and universities. It is not politically incorrect. Today, of course, this standard of conquering and colonizing is not acceptable. Imperialism truly is passe’. Mankind, for the most part, has evolved from that way of thinking. Good for us. But, really. Your liberal bend is showing. Why don’t you stop dividing our nation and start healing it? Beating up on historical icons without telling the ‘truth’ in full, does nothing but hurt and divide us. So, what’s it going to be? Are you a healer or a divider? And this, Sir, is the ‘truth’. I hope it sets you free. And it really has nothing to do with ‘truth’.